Chess game is popular game for all ages. Look at the picture above! 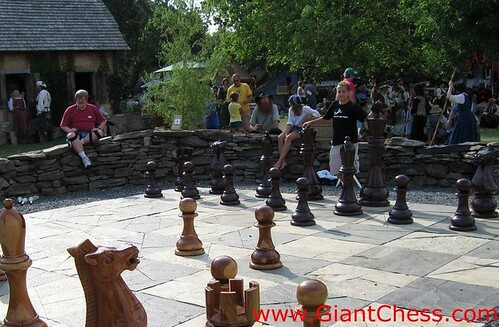 Those people looks very happy to play with chess pieces. They can learn together with their friend and solve problem together. They can explore their mind and looking for new strategy to win the game. Playing chess is no always sit on a chair in your livingroom and think the strategy calmly with your friend in the room. But playing chess will more interesting if you play it at outdoor space, such as in your garden, in the beach, in terrace of your house, or in camping ground area.